Avoiding Eating Triggers is difficult because they are everywhere! Avoiding eating triggers is difficult, because they are everywhere. If you want to end overeating, you must develop Lifestyle Solutions that allow you to coexist in your environment filled with food triggers! Track your triggers: Identifying your triggers is the first step of the process. It is difficult to fight an unknown enemy. On your daily food journal, be as specific as you can with your reasons for eating. Once you are reviewing your journal, your specific triggers should be obvious. Keep track of them, and then you will ready to tackle your triggers. Tackle your triggers: You know your triggers! You need to develop a specific strategy for each trigger that you have identified. You might need to avoid it, eliminate it, reduce it, work around it, distract yourself from it, or just learn a new way to cope that does not involve eating. You might need to change your environment, learn to tolerate hunger and cravings, change your thinking, stop emotional eating, or just practice more healthy eating strategies. List each trigger that you identify, and answer the question of how it causes you to eat. Develop a strategy that you believe will work with that particular trigger and try it out. If it works, success! If not, try a new strategy. Each situation will be different. Biological triggers: You can try eating smaller meals, or work on ending physical cravings caused by your hormones by controlling your carbohydrate choices, sugar, and processed food consumption. Environmental triggers: You might try avoiding the mall food court, or taping your favorite television shows to avoid all of the food commercials. Emotional triggers: Learn to understand your feelings and deal with them rather than eating. Call a friend, go for a walk, learn a new hobby, or take a bike ride! See the emotional eating section. Social triggers: You might need to learn to say no. You could nurse the same drink in social situations, or go late to avoid eating, then keep your hands full with your purse and drink, so it is difficult to eat. Bring a healthy snack to share that you love! Get creative. Everyone wants great healthy snacks! Trigger situations: If specific events cause you to need food, bring your own treats that are lower calorie. Take a bag of 100 calorie popcorn, or dried fruit, or a lower calorie snacking food that you enjoy. There are many awesome choices. Trigger times: Most of us want to eat the entire house from 4 pm onwards. Eat more food early on in the day. Low blood sugar in the late afternoon sends us all looking for food. Bring a healthy afternoon snack to work that includes protein and fiber. Leave an apple in your car, or some nuts for the drive home. This will cut your hunger and give you the ability to make a nice meal without overeating. 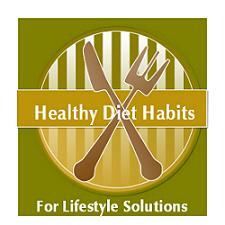 Behavioral triggers: You all have developed unhealthy diet habits with regards to your behavior. Most of you can name them now. Clean them up. If you are skipping meals, stop. If you serve your meals family style, stop. If you graze, stop, and quit buying your favorite snack foods. These are just a few healthy diet habits to avoid your eating triggers and develop new Lifestyle Solutions, or eating patterns to cope with them in your environment. You will each need to identify your specific triggers, and develop your own eating patterns that work for you. Your environment will not change but you can!